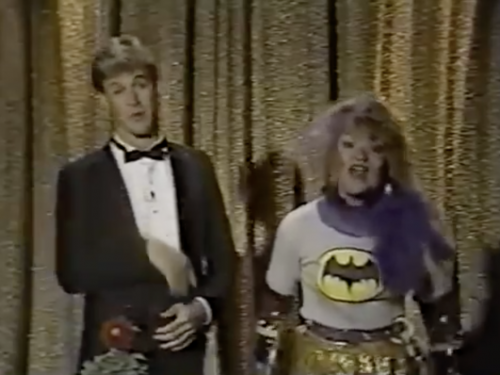 Before Dave Coulier warmed America’s hearts as Uncle Joey Gladstone, he hosted a low budget talk show for kids that spent most of its time off of the rails. Have mercy! 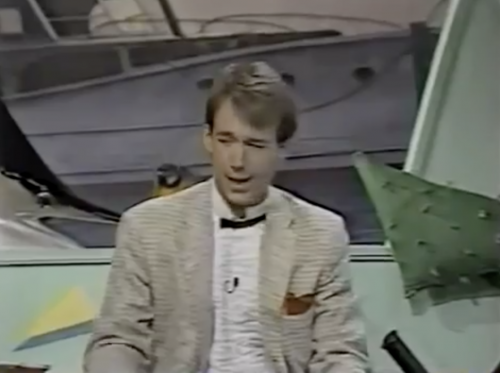 Out of Control was conceived as a parody news magazine show for kids or, more accurately, a show about putting on a news magazine show for kids. 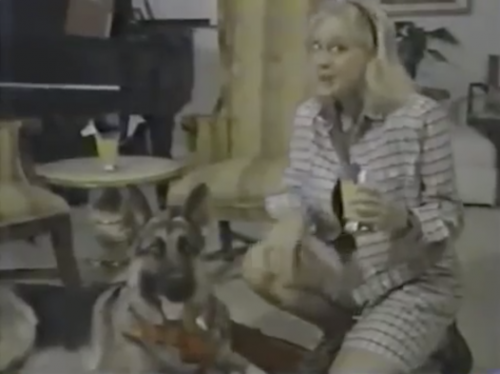 Coulier was the show’s host and each week’s episode centered around his attempts to wrangle his staff and guests to make the show make sense without getting….out of control. Get it? As comedy goes, Coulier plays the straight man while his staff does the heavy lifting. There’s a real Muppet Show vibe to the craziness. Bumbling reporter Angela “Scoop” Quickly and brash report Hern Burford handle the remote shoots, Waldo’s an in-house inventor, and Diz is the wacky sauce between it all. Throw in some guests like Dennis Miller, Bill Bixby, Fred Newman and Mystery Science Theater 3000‘s Joel Hodgson and things quickly get…out of control. Get it? I’ll restate that this is a low-budget production. The studio bits have a very ‘one-take’ feel to them which lends itself well to the concept of the show. The remote bits are slightly more polished, resembling segments of SCTV and other sketch comedy offerings of the time. Dave throws to these segments throughout the show, and they typically fall under a handful of recurring categories. “Hurry Up”, for instance, takes a boring chore that kids submit and speeds the tape up so that the chore doesn’t take as long. “Let’s Eat” is a food/cooking segment that falls apart more often than not. The animations connecting the studio and remote bits are the most impressive pieces of the show. 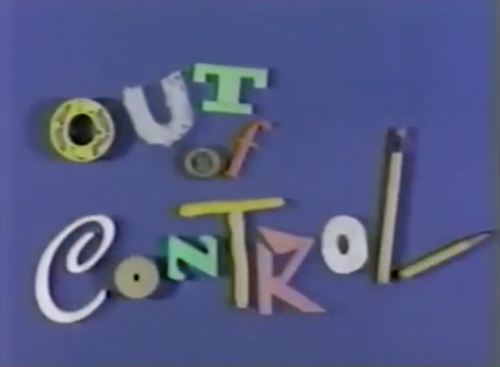 Out of Control lasted all of eight episodes before being cancelled, but that didn’t stop Nickelodeon from airing it generously between 1984 and 1985. You can see Coulier working out a lot of his bits and voices here, including his signature “Cut It Out” that he’d bring to Full House a couple of years later. It’s rough, it’s sloppy, but it’s also one of a kind and they definitely don’t make them like this any more. Here’s an episode.